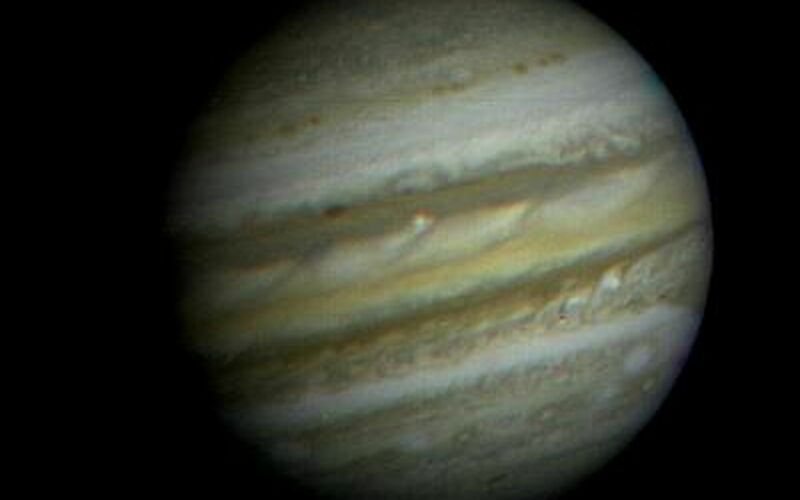 NASA's Voyager 1 took this picture of the planet Jupiter on Saturday, Jan. 6, 1979, the first in its three-month-long, close-up investigation of the largest planet. 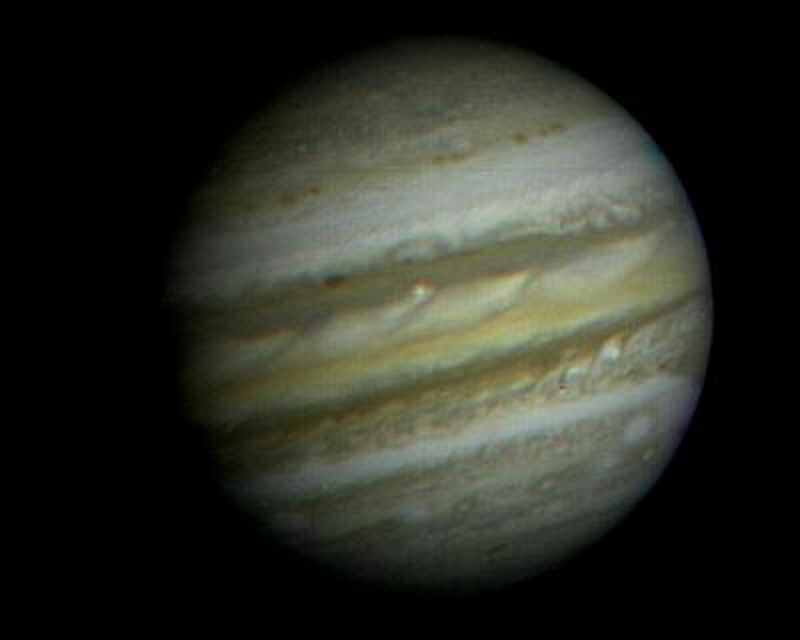 The spacecraft, flying toward a March 5 closest approach, was 35.8 million miles (57.6 million kilometers) from Jupiter and 371.7 million miles (598.2 million kilometers) from Earth when the picture was taken. 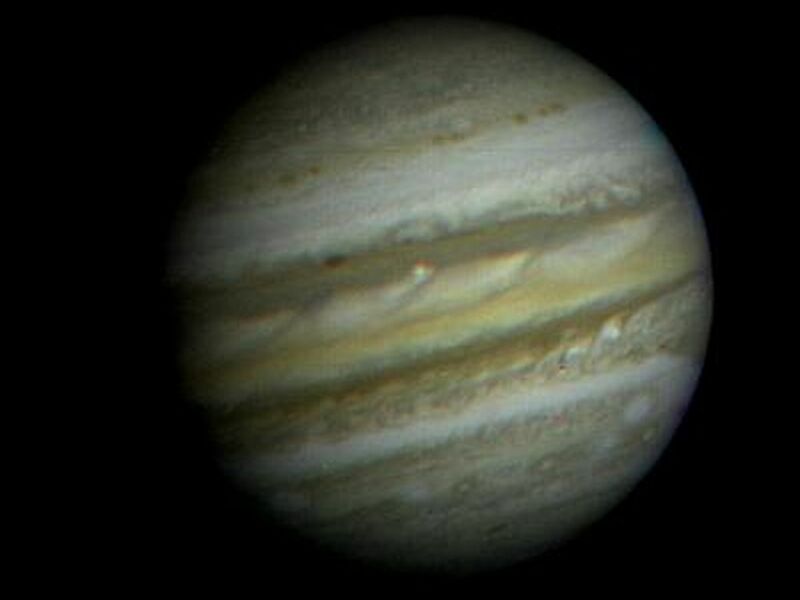 As the Voyager cameras begin their meteorological surveillance of Jupiter, they reveal a dynamic atmosphere with more convective structure than had previously been thought. While the smallest atmospheric features seen in this picture are still as large as 600 miles (1,000 kilometers) across, Voyager will be able to detect individual storm systems as small as 3 miles (5 kilometers) at closest approach. 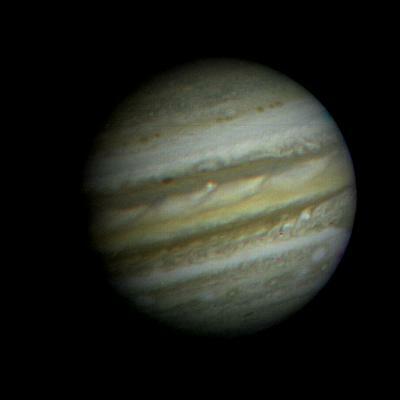 The Great Red Spot can be seen near the limb at the far right. Most of the other features are too small to be seen in terrestrial telescopes. This picture was transmitted to the Jet Propulsion Laboratory through the Deep Space Network's tracking station at Madrid, Spain. The Voyager Project is managed for NASA by Caltech's Jet Propulsion Laboratory.